Have you ever gotten your car stuck in sand? It’s happened to me a few times and it’s frustrating and a little embarrassing. Your wheels spin and spin and sand flies everywhere and people standing on the sidewalk look at you like it’s your first day on the planet. That is how I felt about blogging for a long time. Like my tires were stuck in perpetual sand. Did I tell you I almost quit blogging last year? I was so frustrated, I had put so much time and love into this blog and if just felt like no one was reading it. While I did have a small, yet very loyal readership, I was disheartened. So when I signed up for Elite Blogging Academy, it was sort of my last resort. If this didn’t work I was shutting down shop and moving on with my life. I had heard blogger after blogger after blogger rave about the course. They said it boosted their traffic, increased their readership, helped them learn to engage with their audience and retain readers. When I looked into the course I saw that if it didn’t work I could get my money back. That was the only way I was able to talk myself into paying for the course. And after taking the class I did have regrets… regrets that I didn’t take it when it was offered sooner. Today I wanted to answer a few questions I have gotten about the course. Believe me, I LOVE that you are asking questions before you pay for the course. I want you to be smart spenders. Is it worth it to pay for the course? Can’t I just find the info by Googling? Sure you could. If you have hundreds of hours to sift through information. But Ruth has a proven track record of bringing in readers. Her blog gets over 1 million views a week. Plus, Ruth also sets aside time to answer your questions throughout the course. Plus you can connect and engage with other bloggers in your niche through the course forums. And as we all know, one of the best ways to grow traffic is to connect with other bloggers. Did your blog grow after taking the class? Are you making more money now? My traffic went from 20,000 page views in April, when I started the course, to 250,000 page views in January. And of course, my ad revenue increased and I’ve had the opportunity to work with a lot of really great brands in sponsored posts. After taking the course I had two posts go viral thanks to the lessons I learned on harnessing the power of Pinterest. I feel like the Pinterest tutorial and walkthrough is worth the money alone. My blog ad revenue alone has tripled since last Spring and I have been getting a lot more sponsored posts and clients so that has increased my income as well. Because there is so much that is involved in the course. Like I said, Ruth isn’t just giving you the information and letting that be the end of it. She engages with course members throughout the 12-week course through extra videos, office hours and question and answering sessions. I know it is expensive, the price has actually gone up since I took the course. And it is a lot of money. $499 is a lot to spend on anything. Ruth is also offering the course for 12 payments of $49. Get more information here. Eliminate blog confusion by creating an organized framework that sets the stage for everything you do. Create killer content that gets noticed and shared. Discover the secret to harnessing Pinterest, the most powerful free marketing tool in the world. Understand what is not working in your current monetization model and instead develop concrete goals and a solid plan for achieving them. Dramatically increase your site’s passive income by mastering the four key strategies of optimizing ad network revenue. Take advantage of the critical—but often ignored—connection between SEO and ad revenue. Overcome your fear of private advertising and instead learn to approach brands with confidence. 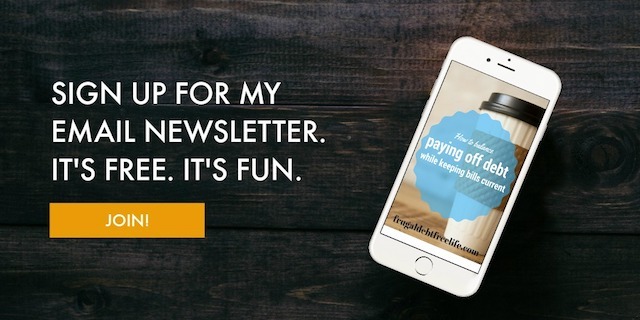 Learn what it really takes to earn a six-figure income from your blog, then develop your own product along with a successful marketing plan to sell it. Create a solid working business plan to take your blogging business to the next level. It is possible to create a successful business from a blog, and Elite Blog Academy shares exactly how it’s done, step-by-step. To claim prizes fill out this form AFTER purchase. Note: Bonuses 1 and 3 are only offered to those who purchase EBA in full, not for month-to-month payment plans. However, all purchasing through the link will still be able to enter the drawing and will get a 30 minute consultation. This post contains affiliate links. Meaning if you make a purchase I get a small percentage. You are under no obligation to make a purchase and I only promote brands I personally use or like.